Rent A Lift can deliver your Used Forklift. We offer great value deals on all leading brands and models of trucks. When purchasing a Used Forklift we will assist you. When choosing the right fork lift for your needs we’ve already tested and ‘cherry-picked’ the best. From counterbalance trucks with gas, diesel, or electric options, warehouse trucks including reach and powered pallet trucks, stackers and even sideloaders. We’ve got them all with over 200 trucks always in stock. We can also offer same day delivery. 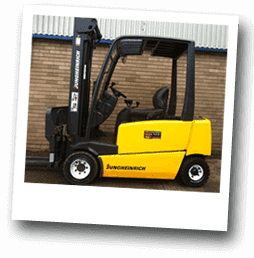 We understand your needs…… we have been delivering Used Forklifts for the past 20 years. Not sure what you need? We’ll do a free site survey and recommend the optimal solution. Please Select Truck TypeReach TruckElectric 3 wheel counterbalance truckElectric 4 wheel counterbalance truckDiesel counterbalance truckLPG counterbalance truckPowerd pallet truckPowerd stacker truckSideloaderNot Sure?